Unleash The Power of the Joy Magnet Effect! Have you ever been so happy about something that you couldn’t sit still? Or, so joyous that you sang out loud before remembering there were other people around? I”m sure it’s happened to each of us at one time or another. I have a confession – it happens to me quite often. Whenever I feel excited about the things I’m doing I get a spike in energy that makes me me want to move about. I believe this energy is the vibration of joy itself. I find I can’t sit still, but have to get up and skip, or dance, or throw my arms up in the air and scream, “Yay!” Anything to release the pressure of the energy inside. I also make up little songs when I’m happy. Little by little, and day by day, I know everything’s gonna be okay. Now I know I’m not going to win any music awards with these little ditties, but when the feeling of joy comes over me I have to express it. When I was in elementary school I belonged to the Glee club. We met 2x a week to practice, and put on shows at assembly. I loved singing in the the Glee club. Singing has always put me in a better mood; you might even say it puts me in a “gleeful” mood. The reason I bring this up is because earlier this last week or two I wasn’t feeling so happy. Things have been a tad challenging lately. I sold my house and the buyers wanted a quick closing, so I had to pack and move all within a 4 week period. During this time the deal became rather problematic and a bit contentious. At one point I was afraid the sale wouldn’t go through. I decided I had better bring up my vibration right away and turn on my inner Joy Magnet. I put on some fun music and jumped onto my treadmill and did 30 minutes. I sang at the top of my lungs the whole time and I ended up feeling so good by the end I raced up the basement stairs with my arms outstretched like I’d just won an Olympic medal. Moving and singing made an enormous difference in my mood and outlook. Plus, by the end of the 1/2 hour I was smiling again – and that made me feel terrific too. Getting dressed for work I kept singing one of my little songs over and over, and you know the day didn’t end up so bad after all. That evening the buyer called me directly and we talked and worked things out. It turned out it was the attorneys who had created most of the problems in the deal. I was in such a better mood after talking with my buyer that I also appreciated him and his wife that much more too. Tuning into the emotion of joy made me feel more vibrant and alive, and anyone coming in contact with me could have felt it too. When you feel life is good – it is. When you think about it, singing and dancing, or moving are things that make us feel really good. Getting a smile from someone or giving a smile also increases our happiness. These things not only lift our spirits but raise our energy or frequency levels. Each emotion has it’s own frequency as well. I don’t think there’s anyone who would disagree that there’s a marked difference between being around someone who’s joyous and someone who’s depressed. The frequency level that we emit has everything to do with how other people respond to us. I’m much more attracted to be around the joyous person, aren’t you? Love and joy are two of the highest emotions anyone of us can experience and the frequency they emit is much higher than emotions such as anger, or fear. No wonder we can’t sit still when we’re really excited about something – the vibration of joy is so much faster that it makes us want to move. Release your inner tuning fork! When you emit the frequency of joy you’re tuning in to one of the highest the vibrations in the Universe. The emotion of pure joy lifts you into the universal flow where all is perfection. Syncing up to this vibration opens the floodgates for miracles by aligning your frequency with “pure goodness,” which is the true the essence of life. By allowing joy to flow through you – you become a joy magnet and attract a steady stream of joyousness into your life! Your good will multiply to same degree you allow joy to flow through you – and this is what I call: The Joy Magnet Effect. The more joy you feel – the more joy you will attract into your life. 2. Start singing. Don’t be shy – belt it out! 3. Or make up your own happy jingle. You will feel better – and your day will go better when you’re a joy magnet. Try it and share how it affected your day. What do you do to kick your inner joy level up a notch? Have you ever felt so joyous you couldn’t contain yourself? What happened? 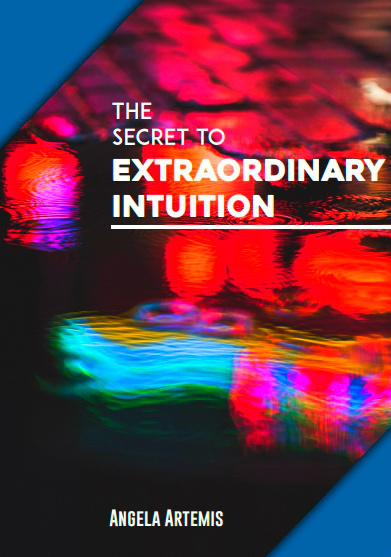 I’d also like to mention that The Daily Brainstorm has published an ebook that my fellow “Brainstormers” and I contributed to: 23 Ways To Rock Your Mind. Please feel free to download your free copy. Here’s the link to the book. It’s sure to kick up your inner joy levels! Life is meant to be lived and enJOYed! It’s not about the destination, but the JOY in the journey! That is why I am reintroducing JOY to the world, Please help me! Be part of the JOY CAMPAIGN! Please Help spread the JOY by spreading the WORD! The French call it joie de vivre – the joy of living. The Italians express it as nienta sense gioia – nothing without joy. To the Greeks, it’s kefi – the spirit of joy, passion, enthusiasm, high spirits. I personally believe that Joy should be reintroduced into each and every part of our daily lives! That is why I have created a “Joy Campaign” to help embrace the daily joys in life! Whatever you’re doing, do it for the joy!Please help me Pass it on! I love the idea of a Joy Campaign. Count me in. What can I do to help you? Thanks for visiting and linking to my post. Singing and dancing got me through grief last year. The day after my beloved 17 year old Springer spaniel, Muggins, died, I got up at 5 a.m. because I was too upset to sleep. I turned on my mp3 player and started dancing around and singing and crying at the same time. And through the tears, I looked up and saw the plaque we have on the wall: “Life isn’t about waiting for the storm to pass; it’s about learning to dance in the rain.” And I said to Muggins, “See, I’m dancing.” And it helped me let her go with joy in my heart even though I missed her physical companionship. I’m so sorry to hear about Muggins. I recently put my beloved little Stevie to sleep. It was heart-breaking for me. I completely understand your pain and sorrow. I love that quote about learning to dance in the rain. I heard it a few years ago – somewhere – and thought it was just fantastic and inspirational. I was smiling when I read that you often have such excited and joyous moments. It’s a great idea to remember that we control our own thoughts and can use our own Joy Magnet Effect to change what we are thinking. I use a list of things that make me happy so remind myself that even though I may be struggling now, there are things that do make me happy (and will again). You’ve given some great examples of moving your body so that energy flows again. Sometimes people are too much in their heads thinking and not enough moving (I know I’m guilty of that, too). I’m so glad you were able to get through and post a comment. I’ve missed you! Yes, I do live in my head a lot too – so I need my tips just as much as anyone. We can create any mood we wish, so why not create joy? It’s good to see you – thanks for visiting and chatting with me. “a joy magnet” – I love that! I’ve been seen doing my ‘get happy rituals’ like singing and dancing around shouting positive affirmations and although I prefer my ‘get happy now rituals’ to be done alone with no witnesses – the interesting thing is – it’s easier for someone to see how it works when they see it in action. I’m glad you shared this post – we really can change our mood even when our situation looks just awful! We can raise our vibration and become “a joy magnet’ anytime – it really works! Your 4 tips are brilliant! Thank you Aileen~! I’m glad you do your own happy dance too, what I call my “jig of joy,” although with your dancing background I’m sure your dance is much more elegant than mine~! Yes, we really can be joy magnets – the more joy we emit the more we attract! One question: Is gratitude the same vibration as love and joy or does that come in third? I’m so sorry to hear about the house falling through! But, I’m glad you’ve got such a good attitude about it. I like the idea of enjoying a mini vacation for 6 months w/a hot tub and pool though. I’d be doing a “jig of joy” in the pool everyday – especially since I’m not the one who has to clean it! Yes, you’re right about gratitude. Love is the emotion with the highest vibration – pure unconditional love that is. True gratitude creates joy. When we accept that everything in our lives is a gift and have gratitude for it we become joyous, so gratitude in it’s purest form is joy. #1 Love, #2 Joy, #3 Gratitude. Please do a few laps for me in the pool – it’s getting pretty chilly hear in the northeast! 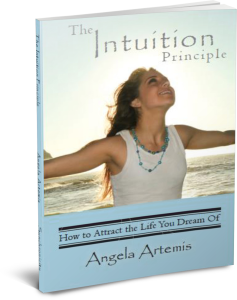 Great insight Angela – be the song you would love to dance to! Or why not a whole album? Sweet music indeed. I love how you put that John: be the song you would love to dance to! Has anyone ever told you that you have a way with words? lol! Bless you Angela – I just let my emotions talk through my words, they know how to express themselves. Words have an energy all of their own don’t you think? 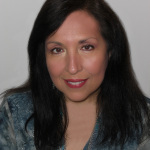 Keep the vibe alive and the beautiful blogging with it Angela. John, I do think words have an energy all their own. You’re so on target. I don’t think you even realize how marvelous your words are! You speak/write and pearls fall from your lips/pen! 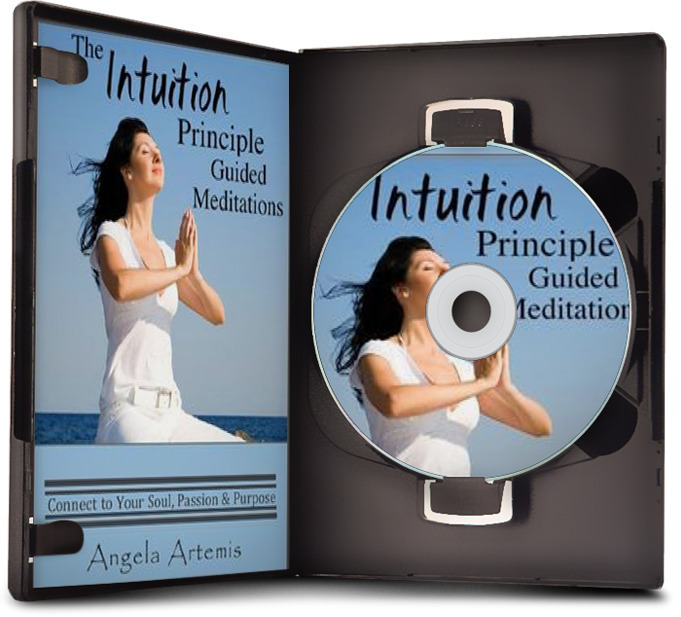 Hi Angela – I love the simple, practical, and powerful advice. It’s amazing that we have the power to change our attitude and emotions…we just have to tap into the ‘source of change’. One who never tried it would never imagine that the key could be as simple as putting on lively music! Thanks for the knowledge. Simple is always best. I love things we can do easily and swiftly to affect change in our lives. I’m so glad I could pass on one of my mood-lifting tricks! Angela, really smart and simple advice. Sometimes a smile, a dance, or a song is all we need to nudge ourselves into a different mindset. I also think exercise helps too – like you I’ve been running lately and it has improved my stamina and well-being tenfold! Good stuff! Thank you! I always lean toward simple when given the opportunity. I’m glad to hear that your stamina has improved along with your well-being from exercise too! The jig of joy. What a great idea. Am definitely going to try it. Thank u so much for sharing the joy. Could feel it right across the internet. Wonderful to spread some joy! Angela: I think this is excellent advice. I really thought what you said about raising your vibration and turning on your inner joy magnet was great advice for us all to follow. I think your story was very helpful in showing us that no mater what challenges come our way, we can elevate our mood and not let ourselves get sucked into any negative energy. It is great to know that we have this choice and all we have to do is choose to elevate our vibrational energy in a positive way. Thanks for sharing your story. Yes, we are in control of our emotions, as you know, and we can “choose” what we wish to feel and therefor create the experience we have. It’s my pleasure to share my story when it can be of help to others. It’s been one of those weeks. I’m getting my songbook out. Thanks for the inspiration! And Happy Birthday! Great! Belt out a tune and I’m sure you’re going to feel better. Thanks for the B’day wishes too! First of all, congratulations on the sale of your house! Yea! Ours fell through this spring, mostly because of their realtor. He talked them out of our house. He ended up selling them a more expensive house two doors down. But we’re probably meant to be here! I feel joy often, too. I try to move and walk or meditate if I’m depressed. I also try to remember that this is temporary. Thank you Betsy! 4 months after I listed it – I sold it. All I had to do was keep dropping the price – lol~! My buyers got a real bargain. Yes, you’re probably meant to stay put. I agree. I’m basically a happy person. I don’t stay down for long either. I ALWAYS look for the silver lining. Dancing is a great way to feel joy for me, and when I feel joy I do feel like making a little dance, or move in any other way. Like children do! Good to hear that your contract went through successfully! I’m glad the post put a smile on your face – it did it’s job well then! Hi Angela! I am the same way- when I’m excited I pace around like a panther ready to attack! I get like that about 1/2 before my radio show. Sometimes I add things to it: in I am Happy, healthy, and wealthy in my relationships, my work and my mind, body and spirit (or something similar) Usually between the exercise, the beautiful nature and my mantra, I work it all out and am happier. If not, I fake it till I feel it. Usually happens quickly. I agree- I know a couple of people with depression and if they are in a down mood, it’s like there’s a dark cloud around them….it’s very weird. Not sure if it’s their aura???????? Wow! Carolee we are so much alike. Could we be twins separated at birth? lol! I think all our emotions register in our auras. It’s our energy “signature.” Someday science will definitively validate all of this, I’m sure. Thanks so much for stopping by and adding to the conversation here. I want to tune into your radio show – when is it on?